Blackwitch is a 1949 gaff-rigged sloop built at the Wilmington Boatworks after a Ralph Winslow design based on the Friendship sloops; these boats were originally exclusively built by the Morse boatyard. They were remarkable workboats, well suited for fishing the Maine coastal waters in all-weather. The design was later modified for a recreational use. 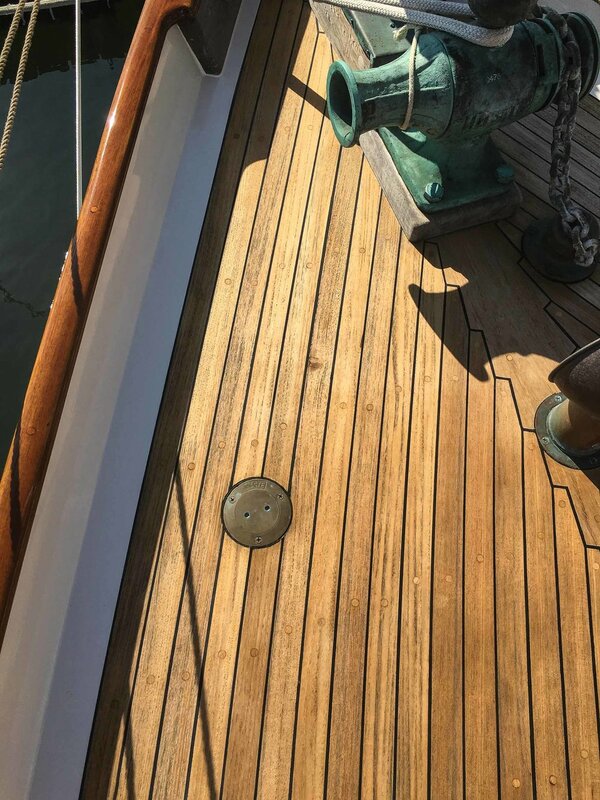 Blackwitch is a wonderful showcase of a classic yacht that has been restored / rebuilt from stem to stern at the Spaulding Boat Center in Sausalito to high standards. All the planking below the water line is new as well as the decks and deck beams. This re-build is fairly recent (2008) and the boat has been meticulously maintained since. Recent Haulout: Bottom and Topsides painted: Yanmar Engine serviced: June 2017. 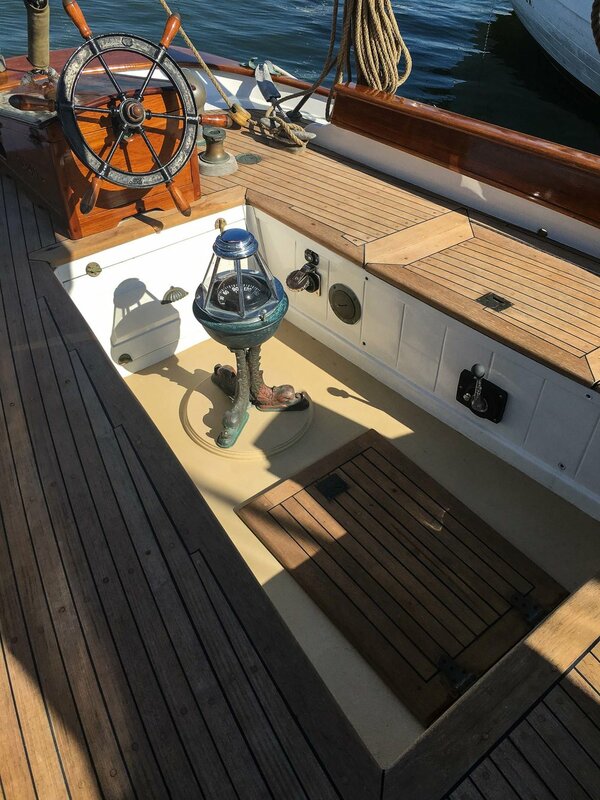 She is built with Traditional carvel planking, Port Oxford cedar over hardwood frames; original frames 1¾” x ½” mostly all sistered with white oak 1½” x 1½”. Fir deck clamps, fir deck beams, floor timbers and keelson; oak horn timber and mahogany rudder. A new spruce mast has just been recently built by Bruce Tipton at the Spaulding Boat Center, stepped and rigged (2015). 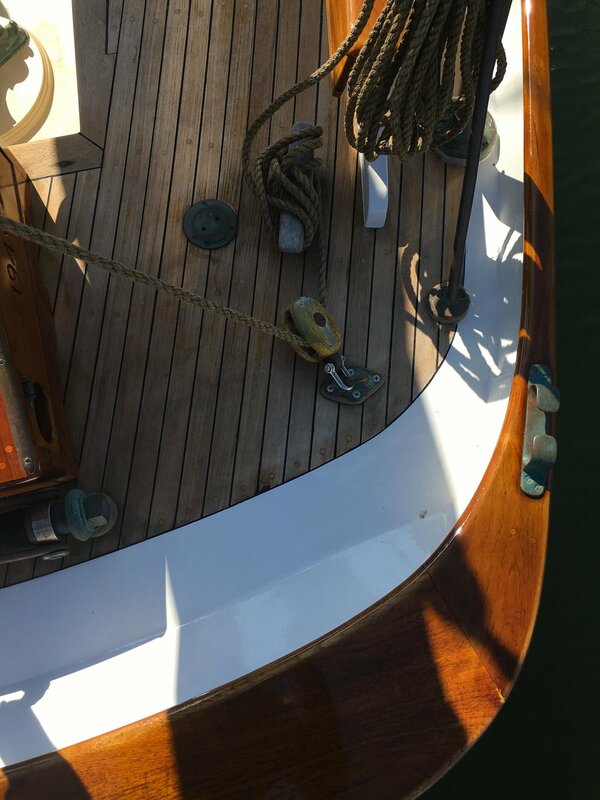 She is beautifully maintained with yearly hauls, most recently late 2018. And just surveyed last week December, 2018! Awarded the Stone Cup Trophy for Best in Show/Restored Vessel: Best Boat Professional Restoration: 2016 Master Mariner Wooden Boat Show. "The decks, superstructure and interior have been entirely rebuilt to high standards. The interior is very classic and finishes show superior craftsmanship; it was found uncluttered, and very clean." Recent Survey. Engine: Yanmar Diesel 4-cycle 3 YM30 installed 2008 and recently serviced. Propeller: Michigan 3 blade fixed bronze 16" RH 10". WHEEL: wilcox Crittenden 25" wheel with WOrm gear. All new LED lights in antique fixtures and refined lights on mast powered by 4 LIFELINE 6v Deep Cycle AGM in series with XANTREX true charge/20A.